Zoonova®, the Most Comprehensive Finance and Business Web Application, Now Offers Quandl Market Data for Stocks, Options, Yield Curves, and FX. Level the Playing Field. ZOONOVA.COM – the first and only (Free) business and financial mobile web app (patents pending) offering bench-marked cross-asset analytics for stocks, options, bonds, notes, FX, and other fixed income – now offers Quandl market data. ZOONOVA.COM – the first and only business and financial mobile web app (patents pending) offering bench-marked cross-asset analytics for stocks, options, bonds, notes, FX, and other fixed income, is pleased to announce the integration of the QUANDL market data API. Zoonova® receives quotes, and data, for stocks, yield curves, options, FX, and more. QUANDL provides access to more than 500 high-quality financial and economic databases via their simple and powerful API. 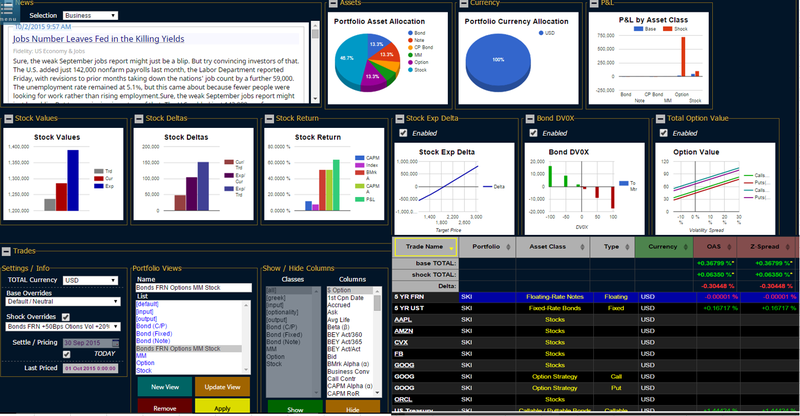 The user can now create a virtually unlimited number of cross-asset positions and portfolios, using the Zoonova® portfolio modules and dashboard. Using the Quandl data feed, the portfolio analytics allow the user to calculate valuations, p&l, risk, and what-if asset allocation analysis while streamlined calculators calculate the fair market value and risk of individual financial assets. Custom News, video, and market data from hundreds of feeds provide unlimited content and connects the user to world economic, business, and financial events. Picks & Forecasts allow individuals to engage in a community mind-share of ideas, strategies, trends and projections. Not only does Zoonova® provide an inimitable view of world business and financial markets for all users, it also provides a solid, powerful platform to analyze them.